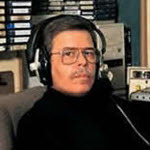 Art Bell: Somewhere in Time returned to June 3, 1997, with an Open Lines ‘Witch Hunt,’ in which “real” broom riding witches were invited to call in. Dr. Evelyn Paglini makes her first appearance on Coast when she calls into the show at the 2:12:46 mark. Art Bell Somewhere in Time returns to Sept. 21, 2003 when Evelyn Paglini joined Art to discuss the power of magic. First hour guest was Whitley Strieber. Art Bell: Somewhere in Time returned to 3/15/2001 when Dr. Evelyn Paglini discussed paganism, witchcraft and blood sacrifice. Full 5 hour show.